How Reliable and Safe are the Alarm Systems? In today’s fast moving world the modern alarm systems that are available in the market (even low-cost ones) are quite reliable and safe, if they’re installed properly. They can be as sensitive as you want them to be, and they seldom do anything for no reason(false alarms. For security conscious people who want to protect their homes or offices from intruders , choosing the right intruder alarm system is of paramount importance. An intelligent and reliable system requires that its various components are installed properly by a technician and are of A grade quality. Most alarm systems consists of three parts namely a control panel (brain of the system), an annunciator (bells, sirens, and strobe lights) and at least one sensor (or detection device). Sensors are the eyes and ears of the system. The function of the sensor is to sense the presence of an intruder or a burglar. They then relay the information to the sensor’s control panel, which then activates bell or siren. Today the customers have a range of detection devices to choose, but it is also important to note that no matter how sophisticated and technologically advanced the system may be , it should be easily operated by the end user. If the customer finds the alarm system to be tedious and confusing to operate, it won’t be of much value. It is also important for the end user to know about the different alarm system that are available in the market. There are systems available for people with poor vision that employ voice commands or big screens on the control panel. It is also required that the customer makes sure that other special needs like children, pets or elders are taken into account before going for a tailor made alarm system in their house or office. 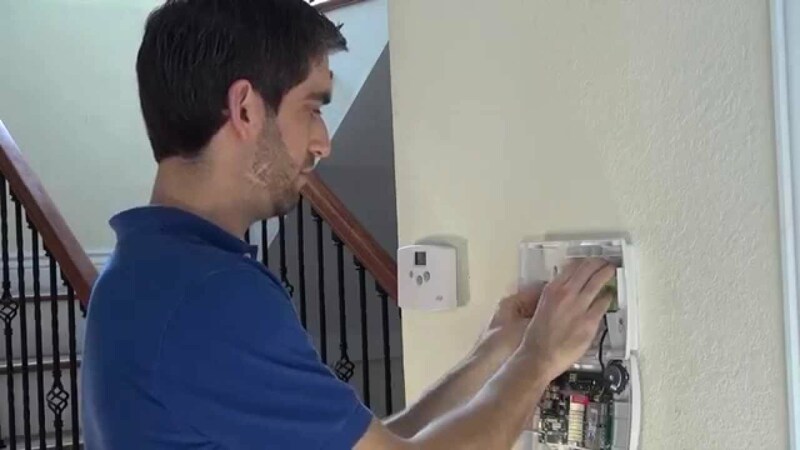 A properly install intruder alarm system in Manchester protects one’s valuables such as electronics , jewelry as well as family members from potential harm . The alarm scares the many would be burglars or intruders and can notify the local authorities or can alert a specified contact in case of any attempt of break in. Modern security systems now also allow the owners to remotely monitor their house or office and at the same time remotely operate different devices in the home or office such as doors ,lights, etc. Apart from controlling the doors, lights of home or office space, new advanced systems also come with safety features such as alerting the concerned authorities in case of fire or smoke while you are away from home. This way major incidents can be prevented. The presence of a home security system provides families with a peace of mind. They can be rest assured that their children or elder are taken care of and are protected against devastating scenarios such as burglary or accidental breakout of fire.. Besides all the safety measures that are built in new alarm systems, the system also offer the end users a sense of serenity and security. This is perhaps the greatest benefit of installing a intruder alarm system in one’s home or office. Looking for the provider of best home burglar alarm system Manchester? 3P protection is just perfect for you. Being a well known name in home security business, it offers installation, monitoring and maintenance services for intruder alarm system Manchester. Going out for work or spending holidays with friends, house alarm system mMnchester offers peace of mind and ensures safety of your family members back home. Want to know more about for intruder alarm system Manchester? Visit http://3pprotection.co.uk/.